The files aren't even hidden they're just not there like it wasn't even installed but it shows that it is installed. I'm not even sure at this point if the motherboard is problem or not. \What is the computer speccs, and what excactly have you done before this happens ? I took my PC to a PC technician because my PC wasn't turning on despite getting power from the PSU which I knew because of the Mobo LED, before I took it to a technician I tested my PSU on another PC and nothing was wrong with it, I even tried a front panel from my old case on my PC and another PC to make sure nothing was wrong with it. The technician did nothing but open the side panel and inspected it w/o touching anything before plugging it in which to my surprise turned on so I thought maybe it was the extension I'm using or the power cable so I changed my power cable and plugged it straight in the wall socket but the PC didn't turn on, I tried replugging all the wires on their respective slots and plugged the PC back on the extension, for some reason my PC finally turned on and booted all the way before the PC started slowing down and getting a bluescreen for no reason at all and this happened everytime so I decided to reformat the PC and reinstall all the drivers and update everything including the OS, until now my audio problem still persists. 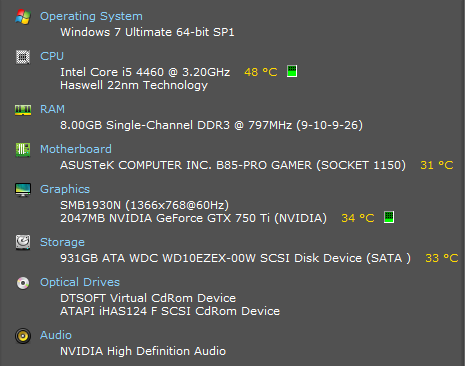 This is my full specs. You wrote, "I'm not using any HDMI devices". 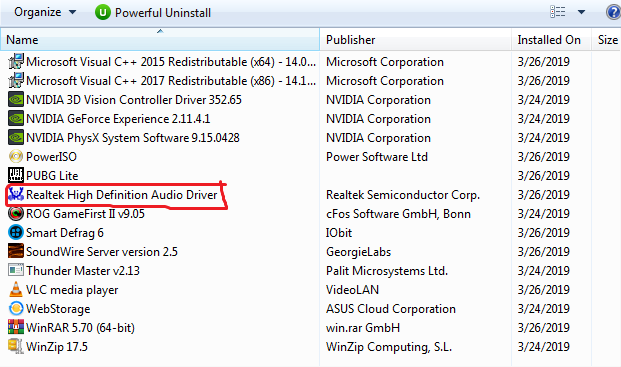 Your PC currently has the default audio set to the Nvidia video card HDMI. The video card includes a separate audio chip. 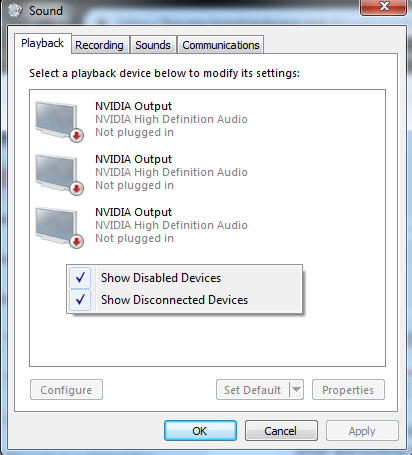 You need to manage multiple audio devices in the Windows Control Panel>Sound. Have some speakers plugged into the motherboard sound port. I believe it is the green center one. 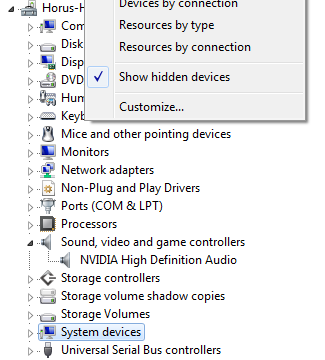 If you don't have any choice other than Nvidia in the Windows Control Panel, you may have a broken motherboard.